We took an in-depth look at the current market by researching and testing several models and our team decided that the best smartwatch for women is the Fitbit Versa. This was our overall choice based on its highly competitive specifications, affordable price-point, exceptional battery life and support for the two most popular smartphone operating systems: iOS and Android. Our runner-up and the best model for iPhone users is the new Apple Watch Series 4. The smaller 40mm model is ideal for women's wrists and allows you to get a decent sized touch screen without feeling too bulky. Working only with iOS, the Apple Watch Series 4 offers a slew of advanced features and integrations, but lacks the battery life of the Versa and is also double the price. For those looking to get a more compact design and more fitness-enabled features, Fitbit's Charge 3 model is a fitness tracker with basic smartwatch functionality. It utilizes a 24/7 heart rate monitor with activity and sleep tracking for as long as 7 days on a single charge. If you seek the traditional watch look or prefer something from an established women's designer brand, the Fossil Q Venture (Gen 4) smartwatch is a great choice. Offering both form and function, you get the stylish look from the well-known watch manufacturer mixed with the advanced capabilities of Google's latest Wear OS. The newest smartwatch from Fitbit offering highly competitive features and excellent battery life. Since Fitbit acquired the popular wearable company, Pebble, they have been developing a high-end smartwatch to compete with the Apple Watch. The Versa is this model touting highly competitive specifications, incredible battery life and half the price-point its closest competition. Compatible with both Android and iOS smartphones. The latest and greatest smartwatch from Apple touting a larger display, faster hardware and better heart rate tracking functionality. Designed exclusively for iPhone users, the Apple Watch Series 4 is an expensive yet powerful wearable experience. This 40mm version is the smaller of the two models offering an appropriately sized touchscreen without becoming too bulky on your wrist. Compatible with iOS only. The newest Fitbit fitness tracker & smartwatch hybrid offering a compact & appealing form-factor. The third iteration in Fitbit's Charge fitness tracker line-up, the Charge 3 offers a thinner and sleeker profile than the other smartwatches on this list, but still provides much of the same features minus advanced customization. Compatible with both Android and iOS smartphones. A Google Wear OS powered smartwatch from the popular consumer watch brand offering a traditional design and stylish look. While Fossil is a notable brand in the traditional watch industry, their new smartwatch mixes the style they are known for with the power of Google's Wear OS bringing the best of both form and function. Compatible with both Android and iOS smartphones. This website is reader-supported and our content is for consumers by consumers. We may earn a small affiliate commission on referred sales. Rest assured, our recommendations are unbiased, profit potential has no influence on the models we have chosen to showcase. Why Should You Purchase A Female-Friendly Smartwatch? If you stumbled upon this guide from Google or another source in your search for the best smartwatch for women, you are in the right place. This buyer's guide should guide you into which model is best for your needs as we have recommended many models to fit multiple styles and budgets. For most of you, your knowledge in the world of technology may be limited, and a lot of the marketing terms around the smartwatch industry may be confusing to you. Don't worry, in the remainder of this guide we will provide you with the necessary knowledge and understanding of the female smartwatch market and help you better determine which model to spend your hard-earned money on. Should you read the entirety of this guide and still find yourself with a concern or question that was unanswered, then you should leave us a comment (you can do so for free below this article). Our team will do our best to clear up any confusion and answer your question promptly. In this day and age, traditional watches aren't as convenient as they used to be when digital products like smartwatches and activity trackers are so feature-packed. When smartwatches first came onto the market, they were bulky and their designs really catered to men over women. Most of the major manufacturers have been working diligently to change this and come out with dedicated female-friendly smartwatches. For some women reading this article, this may be the first time you have considered buying a smartwatch and you may need some reasons or incentive as to why you should invest hundreds of dollars into one. We totally understand that, and in this section, we will cover the three main reasons why a female-friendly smartwatch is a good buy for most women. Compared to a many male perspectives, the look of the watch isn't always the most significant selling point although women traditionally value the appearance of their clothes, cosmetics and accessories much more. As traditional electronics manufacturers have decided to produce more female-inspired smartwatches, more well-known designers such as Michael Kors and Kate Spade have dipped their toes in the wearable electronics markets with their own signature smartwatch models that capture both the essence of the brand's style while giving the advanced features and functionality of a smartwatch. Many of the models on this list allow you to choose from a variety of watch finishes (some include Rose Gold) as well as the ability to swap out the native watch straps with compatible OEM or third-party alternatives. This can give your smartwatch a new look and feel that offer the versatility to cater to more outfits. In the early days of smartwatches, you had to choose between form or function and couldn't have both. Thankfully, at this point in the market, you can "have your cake and eat it too". There are many different models that are highly fashionable while still being capable of the smart-enabled features that you should be looking for when investing in a smartwatch. Settling is no longer a requirement. When I first got a smartwatch, I wasn't sure how often I'd actually use its features although it was quickly evident how much of an impact on my life it would make. Having all the essential notifications coming right to my wrist gave me a sense of comfort as I no longer was tied to looking at my phone every couple of minutes. Every-time that I received an important text, call, email or social media notification, I knew immediately via a notification my wrist and the intangible chain between myself and my smartphone felt like it could finally be broken. Beyond these convenient notifications, many of the models on this list have advanced technology integrated within them such as built-in GPS, NFC support as well as voice/music control. The GPS functionality is best used for tracking accurate statistics like current weather conditions or GPS navigation. The NFC support is widely used for things like Samsung or Apple Pay which allow you to purchase goods or services at supported retailers by merely touching your Watch to an NFC sensor instead of having to pay with cash or pulling out your credit card. Voice control is another favorite feature on modern smartwatches with the likes of Siri or Google Assistant being present on a lot of these models. Similar to your smartphone, you can use these voice assistants to answer basic questions, set reminders or alarms or interact with contacts via a call or text through voice commands. One of the biggest reasons that people buy a smartwatch or activity tracker is the ability to track your fitness data with things like calories burned, heart rate tracking and activity time. Most of the models on this list have an integrated heart rate monitor that can accurately track your body's heart rate for consistent monitoring throughout normal and strenuous activities. If you choose one of the smartwatches that offer multi-day battery life, then chances are you'll be able to track advantage of the sleep tracking features. For someone like myself who doesn't sleep very well, you can get accurate data on your sleeping habits such as time spent in the various sleep stages and whether or not you accomplished your healthy sleep goals. While you may not be looking for a smartwatch for fitness or health fanatic, as I've worn a smartwatch on a daily basis, I've become more self-aware of my own personal fitness and health goals. Having an fitness tracking watch showing real-time data on your wrist relating to your overall activity levels can help you make better decisions towards your overall health such as like reaching for some fruit over a piece of candy to snack on when you realize how long it takes to burn off the calorie difference. A newer feature that has made its way to select smartwatches for women is female health tracking which in particular has to do with menstrual cycle logging. This functionality makes it possible for your smartwatch to be able to predict when your period is coming and also keep track of fertility windows. When looking at the women's smartwatch market, there is a lot of marketing buzzwords and different aspects to consider that the average woman (or man for that matter) wouldn't fully understand unless they are well-versed in the technology scene. Due to this, we dedicated this section to cover the most vital aspect that we used to classify and evaluate smartwatches. We will provide a brief overview of what every term means and how they should relate to your purchasing decision. Please note, not all of you guys who landed on this article will have the same desires or needs concerning the smartwatch design, features or budget. This means the ideal women's smartwatch for one girl may not be the same for another and this is entirely okay. Choosing a reputable smartwatch brand and model can save you a lot of headaches in the long run. While there are now a lot of foreign, lesser-known brands coming out of the woodwork with their own models that undercut the pricing of the top brands like Fitbit, Apple or Samsung, there is often a risk in buying these when it comes to the build quality, performance and warranty. If something goes wrong from one of the major smartwatch manufacturers while under the factory warranty, then you can quickly get ahold of their warranty claims department and receive a refund or replacement device. With a foreign brand, you'll likely be out of luck. Additionally, when new smartphone software or operating system updates roll out, these international models might not update their watches to support the new OS, and that could remove the ability to sync your smartphone and smartwatch. When in doubt, choose a reputable brand that has the infrastructure and reputation in the industry to provide a quality, working smartwatch over trying to save a few bucks and buying a knockoff model from a Chinese or lesser-known foreign company. If you have any questions about whether a smartwatch company or model is reputable, feel free to ask us in the comments section below! Like any tech purchase, the actual cost of the device should play a significant factor in your buying decision. As you'd expect, the higher-priced smartwatches will typically have more features and better build quality (such as a leather strap), but that isn't always the case with models designed for females. The main reason for this is when designer brands like Kate Spade and Michael Kors enter the space. While their smartwatches are beautiful and ultra-stylish, sometimes you'll pay more for the brand name itself than the design or features. This isn't said to discourage you from buying a designer smartwatch as most of the modern ones offer competitive features. Instead, just know you may be paying a premium for the same features and functionality over a competing non-designer brand smartwatch. However, this is often the case with traditional fashion such as with designer purses, shoes and clothing so many of you won't be surprised when famous fashion brands charge more for their smartwatches over similar competitors. Traditionally measured in millimeters (mm), the size of your watch refers to the diameter of your watch case where the screen is housed. In the smartwatch market, some of them use the traditional millimeter sizing while others just mention the screen size instead. For a women's watch, you'll usually see the sizing be between 38-41mm which allows the smartwatch to not feel too bulky on your wrist. Referring to the type of display used in the smartwatch. The screen type will depict the color and visual performance of the display. Traditionally speaking, LED or OLED models are the best in terms of power consumption meaning longer battery life. OLED is the newest technology and offers the best performance when it comes to aspects like black levels (how dark your screen gets while showing a black background), but this is also the most expensive to produce from a manufacturing standpoint. Typically, pixel density is measured in PPI which stands for pixels-per-inch. 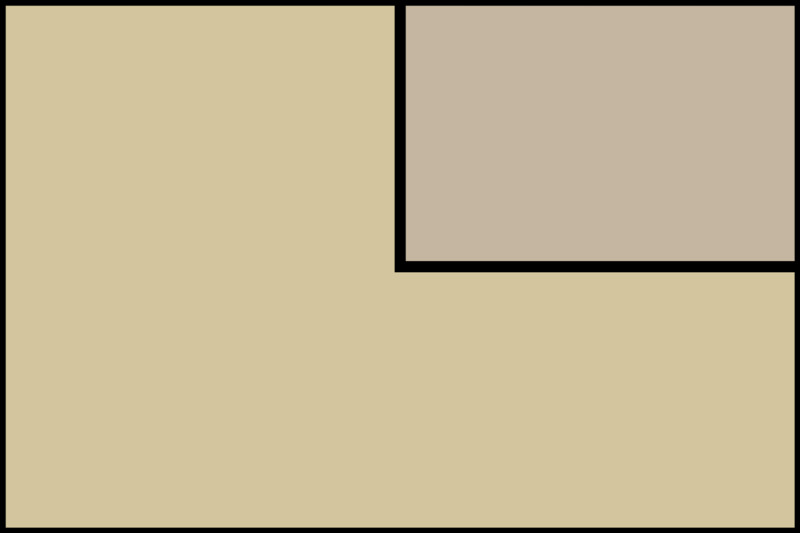 This refers to the number of individual pixels that are packed on one inch of your smartwatch's display. The higher the pixel count, the crisper or higher-definition the screen will look. Ideally, you want to have a PPI over 300 to not be able to differentiate individual pixels from one another. Some models on this list do not publicly state their display's PPI, so I've marked them as N/A in the comparison table below. Depending on your desired use or routine for charging your electronics, the battery life of your smartwatch could be a make or break attribute for which model you buy. On average, women's smartwatches (and all models in general) will offer a battery life between 18-24 hours. However, in some cases like with most Fitbit models, you'll get 4-7 days worth which allows you to accomplish a lot more on a single charge and easily track your sleep routine. Referring to the form or design of the watch, we have categorizes this attribute into two types: sport and traditional. As you'd expect a traditional watch style looks like a conventional watch with a round watch face and standard watchband. These are many stylish smartwatches that resemble higher-end conventional watches from designer brands. On the other hand, a sport style will look like less like a traditional watch and more like a smartwatch. This often results in a rounded design and a casing that resembles some sort of electronic more than anything else. This attribute refers to the actual operating system of your smartwatch (not your smartphone such as iOS or Android). You'll want to find a smartwatch that has a widely supported watch OS such as Apple's WatchOS5 or Google's Wear OS as they have a lot of third-party apps and customization options available. If you are looking one using Fitbit or Samsung's Tizen OS, I wouldn't be deterred. Just be well aware that developers will usually support the operating systems where most users are on (as there is the most profit/use potential) so the overall customizable or third-party app support may be limited on these lesser-support watch operating systems. Whether or not the smartwatch model supports Bluetooth connection and app/notification syncing with iPhone devices. Apple's WatchOS 5 found on their Apple Watch has the highest compatibility for third-party integrations and notifications, however, all smartwatch models on this list support iOS. For other operating systems like Google's Wear OS, you'll be able to connect to an iPhone although some of the advanced features and functionality may only be available for Android users since both operating systems are made by Google. Just like the previous section, this refers to whether or not the smartwatch model supports Bluetooth connection and syncing with Android smartphones. The only model on this list that does not work with Android devices is the Apple Watch. On the other hand, Google's Wear OS has advanced integrations and functionality while working hand in hand with their Android smartphone operating system. If you plan on swimming or using the smartwatch in potentially wet conditions (even in the shower), you'll want to make sure the watch has some water resistance and won't be damaged when wet. Fortunately, all of the models on this list have some sort of water resistance, but keep in mind this doesn't always mean waterproof as there are different water resistance standards. References whether or not the particular women's smartwatch model has the ability to run off its own LTE connection often via the use of a sim card. The benefit of this is you can receive calls, texts or Internet connections while on the go away from your phone such as when going for a run. The only model that supports this on this list is the Apple Watch (Series 4). To take advantage of the LTE functionality, you need to buy the higher-end LTE model as well as sign up for a dedicated monthly LTE plan which costs anywhere from $5-$10 a month depending on your mobile carrier. This attribute determines whether or not the smartwatch has a dedicated heart rate monitor to help accurately track activity levels and log other fitness-related information. All of the models in this list besides the Kate Spade Scallop have a heart rate monitor, but keep in mind not all heart rate monitors are equal. Some of them are not 24/7 tracking and will only read your heart rate every so often or during fitness or workout modes. All the smartwatches on this list are able to provide you with basic notifications such as text messages and phone calls. Depending on the model and its third-party app support, you may be able to get additional notifications for things like emails, calendar events, social media and miscellaneous app updates. Some smartwatches offer tethered GPS support which means that it much connect to a nearby smartphone to utilize its GPS signal while others offer its own integrated GPS that can communicate with the satellites without the need for a smartphone connection. This allows the smartwatch to know your location for things like weather, directions or third-party applications without reliance to your existing smartphone connection (sometimes you won't want to carry your smartphone along such as on a run or bike ride). An acronym for near-field communication, an NFC sensor is a smart feature that allows a smartwatch to communicate and interact with other NFC devices. The most common reason that manufacturers put NFC in their smartwatches is to communicate with hands-free payment processors such as Apple Pay (found in the Apple Watch) or Samsung Pay (found in Samsung smartwatches). Many people don't realize how little or how effective their sleeping patterns are until they utilize a proper sleep tracking solution. Depending on the smartwatch that you purchase, there may be support for tracking your sleep via a native application (like on a Fitbit) or through a third-party app. Keep in mind, due to the limited battery life on most of the models on this list, sleep tracking isn't practical even through a third-party app unless you decide to charge it during the day and wear it at night which we think most won't want to do. With a Fitbit, you get 4-7 days of battery life per charge so tracking your sleep and being away from a charger isn't an issue. A new feature added to several of the flagship smartwatches for women is female health tracking. Depending on the smartwatch model, this feature can help keep track of your menstrual cycle, predict your period and see an estimated fertile and ovulation window. Whether or not the smartwatch model offers the ability to use a touchscreen control. While all of the models that are recommended in this guide support this, some of them will offer physical buttons or rotatable dials to help add additional physical control elements. For some women, being able to give a smartwatch a voice command to accomplish something or to access a popular voice assistant like Siri or Google Assistant is a must-have. The majority of the smartwatches on this list support voice control, but not every one. If you are an avid runner or fitness buff then being able to control your music (through something like Spotify) easily without pulling out your phone is a useful capability that some women would benefit from. All of the smartwatch models on this list support music control besides Fitbit's new Charge 3 activity tracker. Among the activity tracker market, Fitbit has been dominating the space for the past decade. Their ventures into the smartwatch market haven't been all too successful, but their recent acquisition of successful Kickstarter-backed Pebble wearable company has helped Fitbit compete in an ultra-competitive smartwatch industry. Fitbit took the best features in their activity trackers mixing it with the form and function of Pebble's previously successful smartwatches (like the Pebble Time Round and Pebble Time) to create the Versa. A suitable fit for both men and woman alike, the Versa offers an excellent feature-set and specifications that compete with smartwatch models like the Apple Watch Series 4 which costs double the MSRP. As our top pick, the base Versa smartwatch has an MSRP of $199 and is offered in a Black, Silver or Rose Gold aluminum finish. There is also a special edition version in Graphite or Rose Gold aluminum which allows you to get a higher-quality woven band and access to the NFC-enabled Fitbit Pay (base version doesn't include either). Fitness features are clearly a strength for Fitbit products, and the Versa is no different thanks to its all-day activity and heart-rate monitoring. There are over 15 exercise modes for on-screen stats in real-time fitness tracking and post-workout summaries. Battery life is the top of its class for smartwatches at 4+ days which allows for advanced features like built-in sleep tracking (including light, deep and REM sleep monitoring). Compared to a higher-priced competitor like the Apple Watch Series 4, the Versa falls short in the support for third-party apps and overall build quality. The fourth iteration of Apple's Watch wearable device is their best smartwatch yet and surely one to consider for iPhone users if you can stomach the premium price-point. Sold in two size variants, the smaller 40mm sizing is the ideal choice for females as it offers ample screen size without feeling too bulky on your wrist. Apple has set the bar high with the Series 4 version of their Apple Watch Sport offering a new and improved optical heart rate sensor, all-new haptic feedback on the Digital Crown and a 64-bit dual-core S4 processor that is up to 2x as fast as the previous generation. Beyond standard heart rate tracking, there is a new electrical heart rate sensor that allows you to perform an FDA-approved electrocardiogram (ECG) which senses electrical activity of the heart over a period of time. This can locate conditions like heart disease or abnormal heart rhythms like atrial fibrillation (aka afib). Unfortunately, this ECG feature wasn't ready upon the launch of the Series 4 last month, but it is due to be released publicly later this year. Battery life in the Series 4 isn't great compared to the Versa, but it still allows for 24 hours of use on a single charge. This so more than enough for most users as you can place it on its charger overnight, however, this means you can regularly track things like sleep patterns such as with Fitbit's wearables. As expected, both Siri voice commands and Apple Pay wireless NFC payments are supported on the Series 4. The build quality is typical high-quality Apple fashion offered in stainless steel and aluminum in silver, space black and gold finishes. The Watch Series 4 is the only smartwatch on this list that supports LTE connectivity (requires the upgraded model with additional monthly costs). Keep in mind, this model ONLY supports iOS users, and Android smartphones are not currently compatible with Apple Watches. One of Apple's biggest Rivals in the mobile and wearable market, Samsung has been producing smartwatches for several years now (such as the Samsung Gear S3 and Samsung Gear S3 Frontier). Their Gear Sport is their newest unisex smartwatch designed for tracking fitness and activity goals while still providing the regular smart experience by way of basic notifications and app integrations. Just like most of the models on this list, the Gear Sport utilizes an integrated heart rate monitor to determine aspects about your activity tracking such as your calories burned and daily fitness progress. With MIL-STD-810G water resistance, the Gear Sport can be subject to water and liquids up to 50 meters. If you are looking to be able to utilize card-free payments, Samsung Pay is compatible with the NFC chip in their Gear Sport meaning you can make a payment at supported restaurants or retailers with just the tap of your wrist. Samsung Connect is another cool feature though only useful to owners of Samsung smart devices and appliances. You can control these compatible devices such as your lights, locks or TV with the turn of the watch's bezel. There isn't any LTE support in this model, but it does have decent battery life at just over 2 days of regular use. The Tizen 3 operating system isn't our favorite OS for smart watches yet it does have decent integration with Android application and services and it looks nice on the Super AMOLED display. iPhone users will have slightly less support for integration with their smartphones but can still access things like calls, text messages and other basic notifications. Fossil is a well-known brand having produced traditional watches since back in 1984. Over the past few years, the company has entered the smartwatch market with several generations of models. This Q Venture that we recommend is the 4th generation of this model from Fossil. Priced at just over $250 at the time of this being written, the Q Venture is an elegant female-inspired smartwatch with a stylish 40mm Rose Gold case made of Stainless Steel as well a swappable Blush Leather watch band (compatible with all 18mm watch straps). Built to be durable and waterproof, you can do things like wash your hands, shower or swim in a pool without any adverse effects to the Q Venture. This model runs off Wear OS which is a popular operating system for smartwatches made by Google and supports use with both Android OS (4.4+) as well as iOS (9.3+). Since this operating system is made by Google there are more supported features for Android users, but iPhone owners still get a solid smartwatch experience. With support for heart rate tracking, NFC payments over Google Pay and untethered GPS capabilities, the Q Venture check a lot of boxes concerning advanced features. If you are looking for that traditional watch look and style while maintaining the convenience and advanced features of an android smartwatch for women, then the fourth generation of Q Venture by Fossil is hard to beat. One of the most popular designer brands for women's fashion, Kate Spade has similar to Fossil had been producing watches for quite some time now although they recently dove into the wearable technology market. Their line of Scallop smartwatches offers a good mix of style and functionality. This particular model sports a Rose Gold Stainless Steel finish with a Gorilla Glass screen material. Measuring in at 42 x 46mm, the round face offers a traditional watch design that sits well on a female wrist. Interestingly enough, there is a supported app for this watch that will actually allow you to match your watch face to your various outfits. Similar to the Fossil model, the Scallop by Kate Spade runs on Google's Wear OS which again supports both Android and iPhone users. Features include support for smart notifications (such as calls, text messages and app alerts), music control and activity tracking. Keep in mind, compared to the Fossil you lack any built-in GPS, heart rate sensor or NFC chip for hands-free payments. Compared to the Fossil, it isn't a bad buy although the lack of the advanced features and easily swappable watch bands makes it a tougher recommendation unless you are an avid fan of the Kate Spade brand. Michael Kors is another famous designer in the women's fashion space, and their model offers much of the same experience overall as Fossil's Q Venture model. The particular version we are showcasing here has a Rose Gold finish made of Stainless Steel as well as a pink silicone strap (includes an extra buckle to interchange straps). This model is waterproof up to 30M thus making it swim-proof and has built-in heart rate tracking to help log your fitness and activity goals. Internally, there is GPS and NFC built-in to support location tracking and mobile payment technology. The AMOLED display is housed in a 41mm case and utilizes Google's Wear OS to provide notifications from social media, text, email, calendar and app alerts. As said earlier, Wear OS by Google supports both Android and iOS smartphones running newer versions of their operating systems. Fans of the popular Google Assistant voice technology will be happy to know that the Access Runway by Michael Kors offers support meaning you can take full advantage of the voice assistant through verbal commands instead of having to fiddle with the screen or supporting buttons. 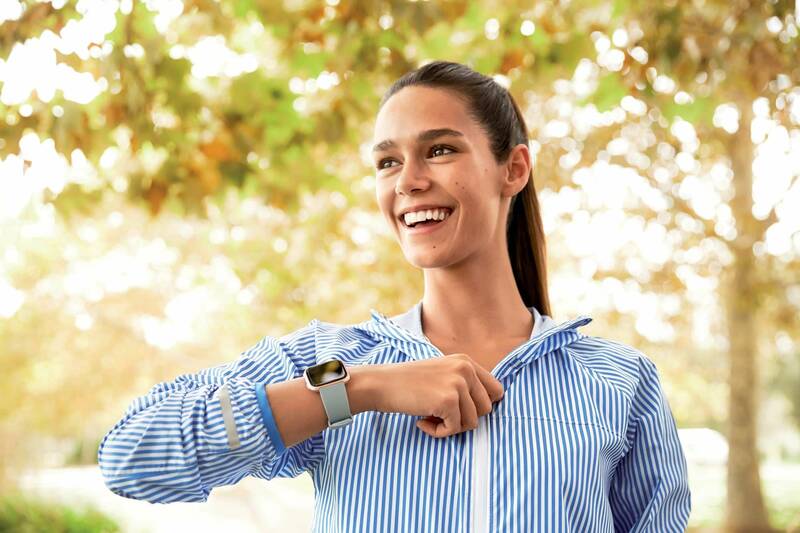 The newest fitness tracker watcj from Fitbit is called the Charge 3, and it is the third-iteration in their line-up. However, despite it being designed as an activity tracker first, it makes a excellent smartwatch alternative as it offers much of the same features in a more compact and low-key design. The build quality is very high made of aerospace-grade aluminum and Corning Gorilla Glass 3. While the bands are able to be swapped out for more breathable, fashionable or leather bands, you'll need to purchase watch bands that are made explicitly for the Charge 3 (sold separately). The on-screen clock faces are adjustable and can be styled for your desired look or feel. Since it offers an activity tracker design instead of a traditional watch, you'll get a smaller display but also a much narrower form-factor on your wrist. The screen is still a backlit touchscreen that automatically adjusts the brightness for ideal viewing whether in sunlight or low-light conditions. It is built for fitness activities allowing it to recognize basic exercises automatically, track cardio fitness levels, steps/distance, track real-time pace/distance calculations for runners and is fully waterproof for swimming or water-related hobbies. There heart rate tracking runs 24/7 and will calculate/log your resting heart rate throughout the day. Harnessing the best battery life of our recommendations with a staggering 7 days of battery life, the Charge 3 is ideal for accurately tracking your sleep habits without needing to charge the device every night. There are still a some good Fitbit apps to download to make the device more capable for your needs, but not as large of a selection as some competing smartwatches. Similar to the Fitbit Versa, the Charge 3 offers female health tracking allowing you to use the Fitbit app to track periods, record symptoms and follow your ovulation calendar. Compatible with both Android and iOS, smartphone notifications are supported for with things like text, calendar and call alerts although social media and third-party app notifications aren't present at this time. At this point in this buying guide on smartwatches for women, we have introduced you to our top smartwatches to buy as well as educated you on the most important aspects you need to remember before investing in a smartwatch. If you find yourself stuck on your decision or have any outlying questions about the smartwatch models, features or anything else we discussed within this guide then leave us a comment below. We will do our best to respond with any helpful advice or answers as soon as possible. Keep in mind, we think the best women's smartwatch overall is the Fitbit Versa, but in the majority of cases, you can't go wrong with any of the recommended models that we have mentioned within this detailed buyer's guide. We hope you enjoyed our buying guide for the best smartwatch for women ! Great detailed analysis on these smartwatch. Although i am not a big fan of smartwatches but i still find them useful and convenient when you are traveling, jogging or other stuff which require you to maintain and manage time. I agree with Colt that if money is not an option then you should go with the latest Apple watch or Samsung.